In a Nutshell: Merchants in countries around the world have experienced an average 40% increase in sales thanks to Avangate’s single, global payment solution. 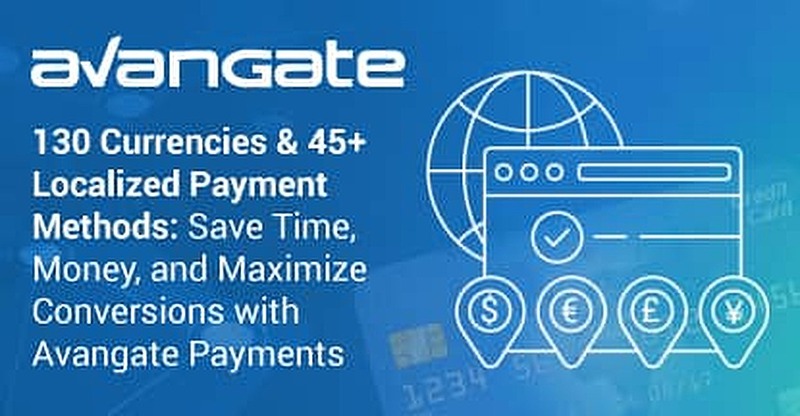 Avangate’s platform accepts 130 currencies in 35 different languages, provides each merchant with a state-of-the-art analytics dashboard, and helps increase credit card authorization rates. Avangate prides itself on taking a holistic approach to accepting payments, ensuring that no customer gets left behind, no matter where in the world they are. In a global economy, selling goods online — especially digital goods — can feel like a daunting process. The varied payment methods, currencies, and languages often makes toggling between selling to customers in multiple countries a juggling act. But, given how rapidly the online retail industry evolves and how important every dollar is, e-commerce merchants need a payment processing method that can keep up with global demand and make it as easy as possible for them to generate revenue. Avangate, a leader in global e-commerce payment processing, which has recently announced its acquisition of global payment processor 2Checkout, helps businesses maximize profits across the board. In just a few days, the platform lets companies set up global online stores where they can accept 130 currencies and process purchases with more than 45 localized payment methods. By eliminating complex, dated, and local-only systems, Avangate helps businesses control their sales all in one place, resulting in as much as a 40% increase in revenue. By placing a high value on streamlining every experience for both e-commerce merchants and customers, Avangate helps grow businesses across the globe. Despite how globalized e-commerce has become, a customer in one country has needs that vary widely from those of the next customer. Avangate aims to provide one solution that lets merchants reach all those customers directly and speak specifically to their concerns. And a big part of this means accepting multiple payment methods. With Avangate, there is no need to work with third parties or toggle between different payment solutions. Merchants just need one platform that understands every customer’s needs, regardless of which language they speak (Avangate is enabled for 35 of them), their currency, or their local payment method. With Avangate’s platform, merchants can accept more than 45 payment methods in 130 currencies. Perhaps what sets Avangate apart from its competitors most is its approach to smarter payments. And because Avangate’s geolocation helps it determine where a customer is located, it can automatically route payments through local processors, expediting the process. The result is that the revenue rate goes up even more. “We can see an increase of up to 40% if you’re using a local payment processor,” Ionescu noted. Avangate also focuses on giving its merchants a 360-degree view of sales. “If you go with one of our competitors, you won’t have a holistic view of what’s happened,” Ionescu said. 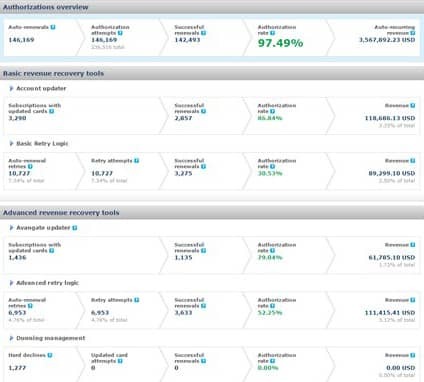 Avangate has invented an Authorization Dashboard, which gives merchants in-depth insight into retention rates and the actions customers take, along with numerous other data points. Merchants can get down to the deepest level of detail, finding answers to specific questions like who canceled a subscription and why. Avangate gives merchants a clear picture of customer behavior through its Authorization Dashboard. And that in-depth experience doesn’t just end with the merchants. The key to successful e-commerce, Avangate believes, is visibility. By giving merchants a clear picture of customer behaviors, Avangate can help them improve revenue on a daily basis. But by ensuring that customers have direct access to their personal shopping data, they help improve the customer service aspects of e-commerce, too. And that’s what converts first-time customers into a loyal base that will benefit a company for years to come. Given all the recent security breaches on various e-commerce platforms, every merchant has concerns about whether their solution will keep them, and their customers, safe. Catalin Chitulescu, Product Manager at Avangate, is quick to explain how the platform prioritizes those concerns and diligently works to keep everyone secure. That highly specific and layered security doesn’t cut down on authorization rates, however. Avangate has found a way to maximize security without slowing down the purchasing process. Beyond its security features and fraud prevention measures, Avangate also ensures merchants are tax compliant any and everywhere. “We provide automatic compliance not only in Europe but in the United States or Japan or Russia,” Ionescu said. The result is an e-commerce platform that’s streamlined from the first day merchants set up Avangate stores to when they file paperwork during tax season. Chitulescu chuckled as he explained the impressive international scale of his company and product. “Since we’re targeting all the cultures in this world, it’s very important to see how we can address their specific needs,” he said. It’s this approach that sums up Avangate. Its focus on global e-commerce begins with a focus on the individual across the globe. By doing so, Avangate can scale with a business, helping reach customers any and everywhere. And it’s this holistic approach that sets them apart from the competition and ensures that merchants, too, will stand apart from their own competitors.